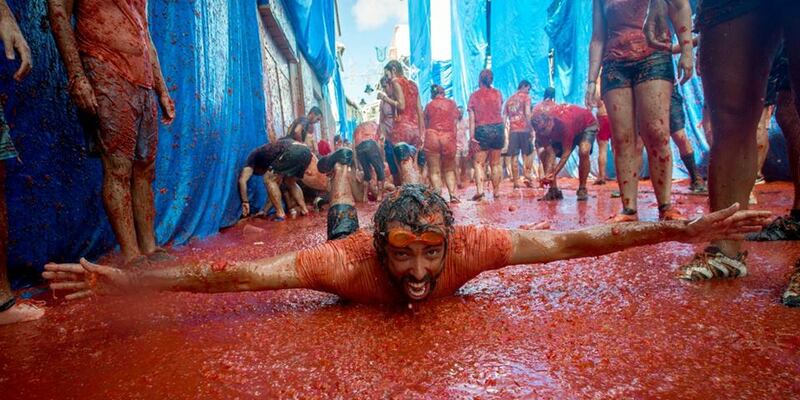 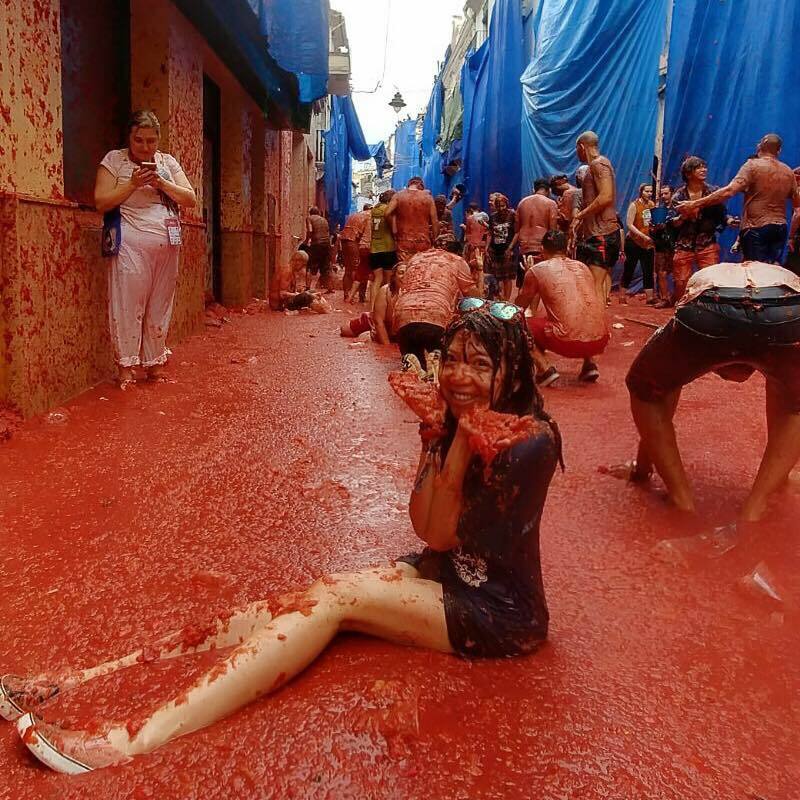 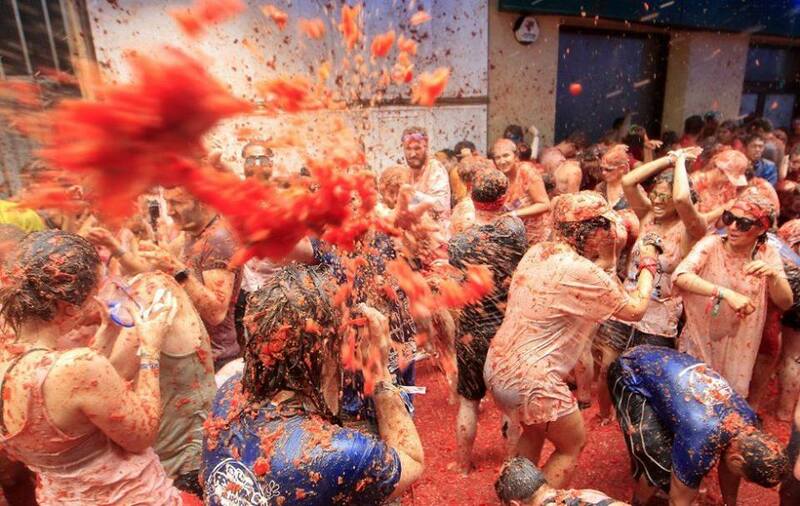 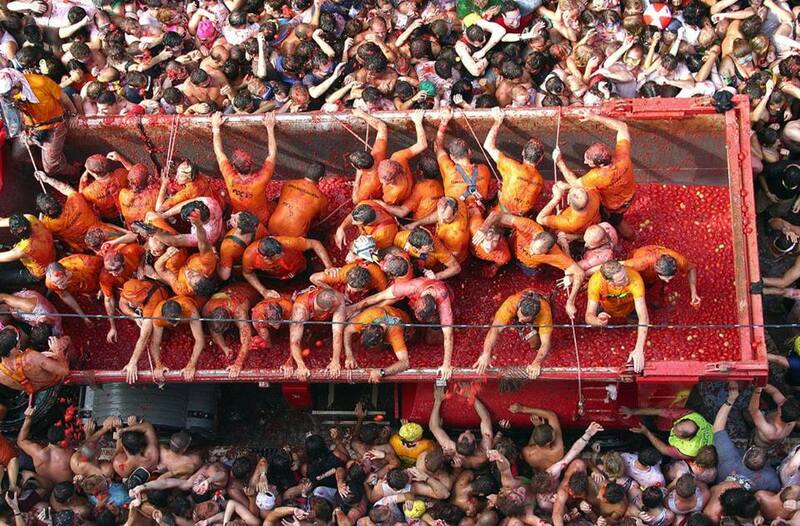 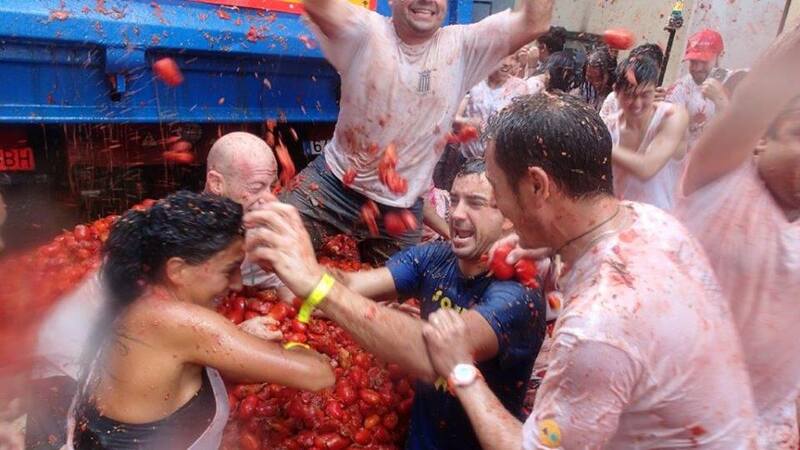 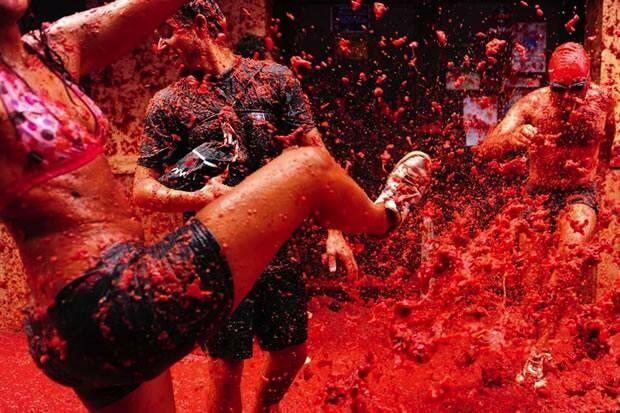 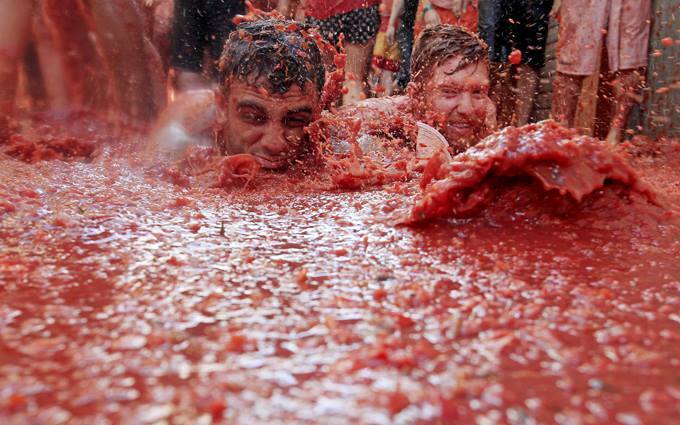 Thousands of fruit-flingers invade the tiny village of Buñol in the Comunidad Valenciana for an almighty tomato fight. 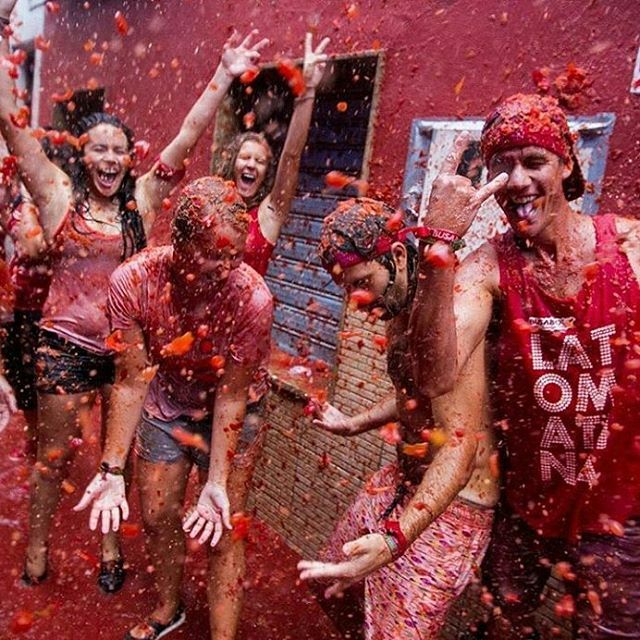 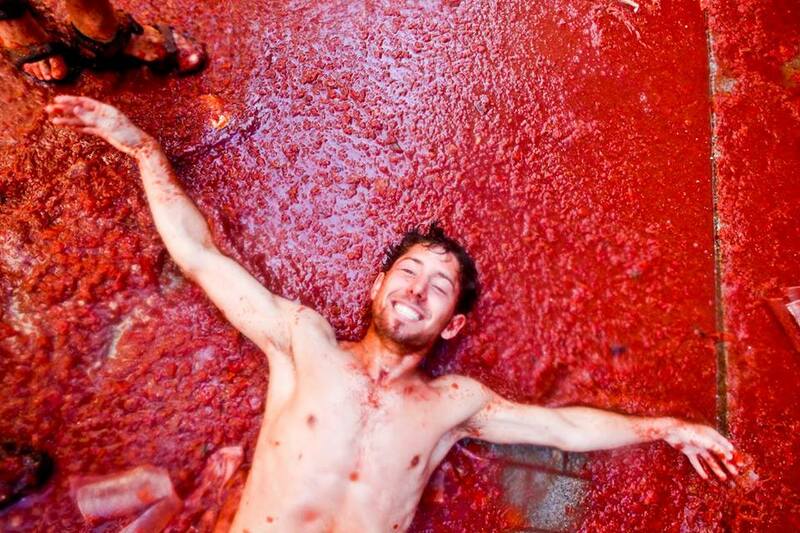 La Tomatina is the opportunity of a lifetime - let battle commence! 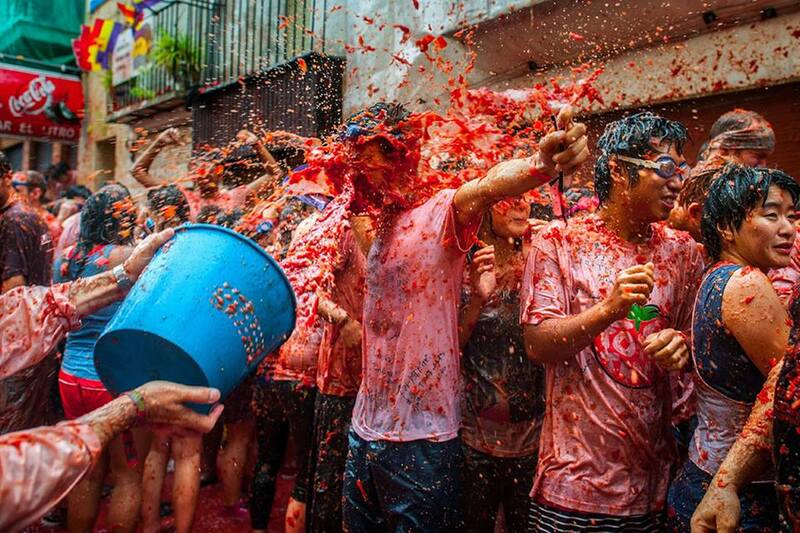 The population of the village quadruples overnight and by 11am the 30,000-strong army has been prepared for action by copious soakings. 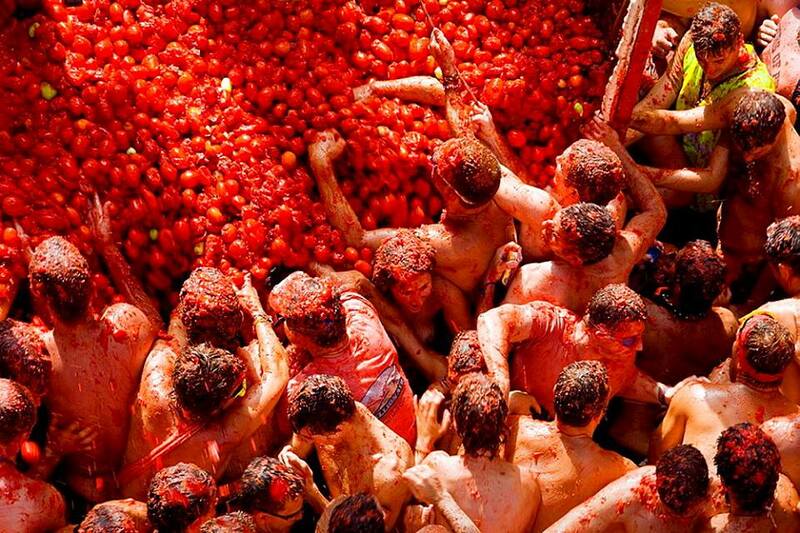 Five bulbous, tomato-packed rockets are sent whistling into the sky and the masses launch into a frenzy of flinging, slinging and lobbing - it’s every man and woman for themselves.